Outdoor classroom – no indoor space available. We’ve been here, in Honduras, almost one year and a half. Is that possible? Tempus fugit. It seems we’re staying now as we just renewed our second year of our two year residency. That will expire in March of 2016. We had so much difficulty getting our residency last year, we expected more of the same with the Honduran bureaucracy. We dreaded the whole affair, particularly now that Tegucigalpa is over six hours away. At best we thought it would be two trips, but at worst, five or six. What a surprise it was when we arrived at the immigration offices at 8:00 AM and by eleven we had new residency cards. Finished. Just when we thought we knew Honduras. The most difficult thing we had to do was to pay the fee. In Honduras, when you make any large payment, or when you’re making payment to a government agency or utility, you pay at the bank and they give you a receipt. There’s not a lot of trust here when it comes to money. As usual there was a long line at the bank. The security guard, who carries a machine gun, decided to make order of the line. He put us up to the front along with this Cuban-American gentleman with whom we had become friendly. He did this in error and the rest of those waiting in line had every right to be upset. They began arguing adamantly with the security guard. This is when I decide to pretend I don’t understand a word of Spanish. The gun almost always has that effect on me. The Cuban-American gentleman had gotten into the bank. I saw him speaking with the other security guard inside the bank before he came back out. Coming out, he leans down to me and says, “You’re next.” The inside security guard opens up the door and whispers to the outside security guard while pointing at me. I overhear what he says, “Tercera edad,” translation, “Senior Citizen.” To the complaints of the other fifty persons that were legitimately ahead of me, he lets me in. I consider, very briefly, telling him I am not over sixty, but realize this will make everyone even more angry, especially the guy with the gun. So I somewhat ashamedly go into the bank and pay. After that, another hour getting our pictures taken and our cards made, we’re done. Kindergarten class at Good Shepherd Bilingual School. Apart from the bank, the rest of the process was really smooth. But lest we think we died and went to a developed country, most things here in Honduras don’t go so smoothly. For instance, today is a Sunday and we are in La Esperanza. We have running water every other day in La Esperanza. Today it’s on. Yipee!, showers! But, just as we were ready to take our showers, the electricity went off. We still had water, but the heater unit on the shower head depends on electricity. It’s still cold here, believe it or not, so neither of us wanted to take a cold shower. We could heat up water on our gas burners, but taking bucket showers isn’t fun either. We decided to wait for the electricity to return. It finally came back on at 5:00 PM. Unfortunately, because this is about dinner time and everyone is using their water, the pressure is very low. The heater does not come on unless the water pressure is strong enough. So even though we have some water and electricity, a hot, running water shower is still not possible. Maybe by seven or eight, there will be enough water pressure to turn the heater on. Let’s hope. Because we haven’t had any electricity, we also haven’t had any internet all day. Our landlord’s modem on which our internet depends has been off all day. He’ll have to reset it. He’s not home. Something else we’ll have to wait for. At least we no longer have to do our laundry by hand. Oh no, spoke too soon. We had a long spell in Concepcion when we were water challenged at our house. That was a little rough, but we carry our laundry to the clinic where we work and where there is a machine. They always have water there. About two weeks ago, however, we started getting a great deal of water at our house. That was great. Unfortunately, this miracle corresponded with the clinic running out of water. So our laundry has been sitting up at the clinic, waiting for sufficient water to run the machine. On Friday we had to take some of it home and do it by hand. I wonder how long I can go without washing my jeans. Jeans are just not fun to wash by hand. Water, water, everywhere, but not a drop to… do the laundry. There was a time when all these things would drive us wild. But after a year and a half, it’s all just a part of what it means to live in Honduras. Joking with other Americans, we use the initials TIH – This is Honduras. We smile at one another, we laugh, and we wait. Not getting personal amenities in a developing country is understandable. Not getting other more essential things is another matter entirely. Also after a year and a half, our experiences have driven home the fact that the education system here is dismally inadequate. Children are only required to go to school through the sixth grade. The school buildings we have visited make most farm barns look like palaces. Crumbling, unpainted concrete walls, often dirt floors, rooms designed for twenty housing forty children are just some of the obvious shortcomings. If the buildings are poorly constructed and maintained, the teachers are as poorly trained and prepared. Children may only receive instruction during about half of the day while the teacher is busy doing something else. There aren’t any books (maybe a bible if the teacher is religiously zealous) or educational materials. 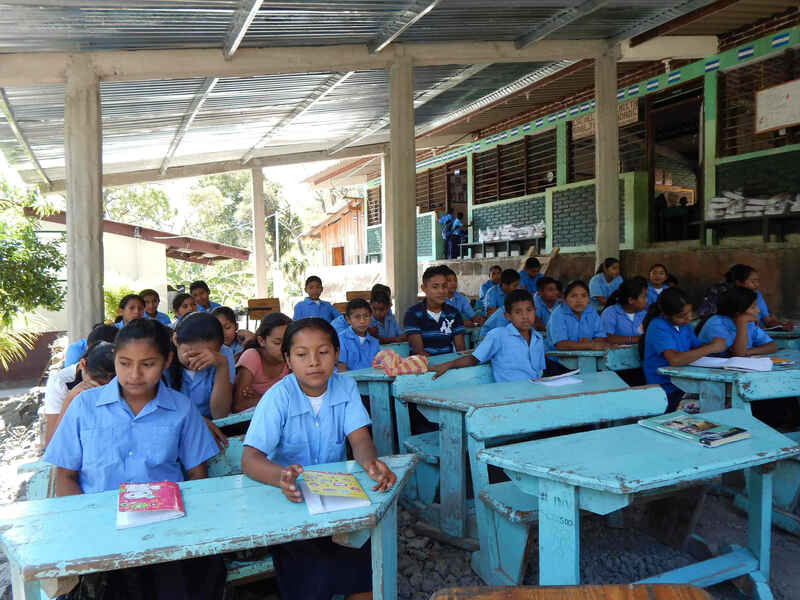 Here in the Southern Intibucá, in one of the most rural and poorest areas of Honduras, over 60% of children will not receive any further, formal education after graduating from sixth grade. Kindergarten student at Good Shepherd Bilingual School. Over our year and a half, Laura and I have had first-hand experience of the failure of the Honduran education system. It has become painfully clear that development in Honduras is dependent on improving this system. Imagine how much talent and how many resources are lost, trashed really, because children are simply not educated. 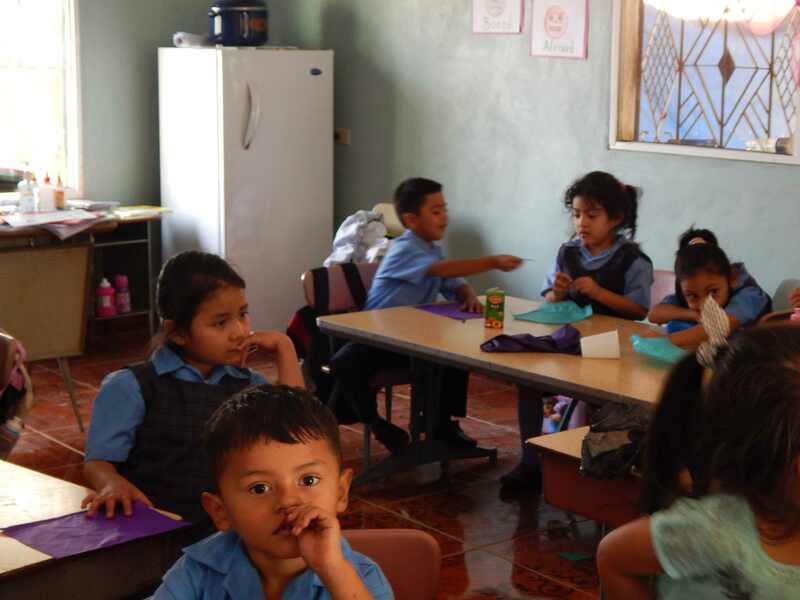 Shoulder to Shoulder, where Laura and I are now, recognizes this fact and has dedicated its efforts toward improving education for the children and families of the frontier region of Intibucá. For years they’ve had a scholarship program to assist children in continuing education beyond the sixth grade. They also have a highly successful girls’ empowerment program that challenges the poverty cycle of girls becoming pregnant at a very young age and gives them viable alternatives and builds self-esteem. 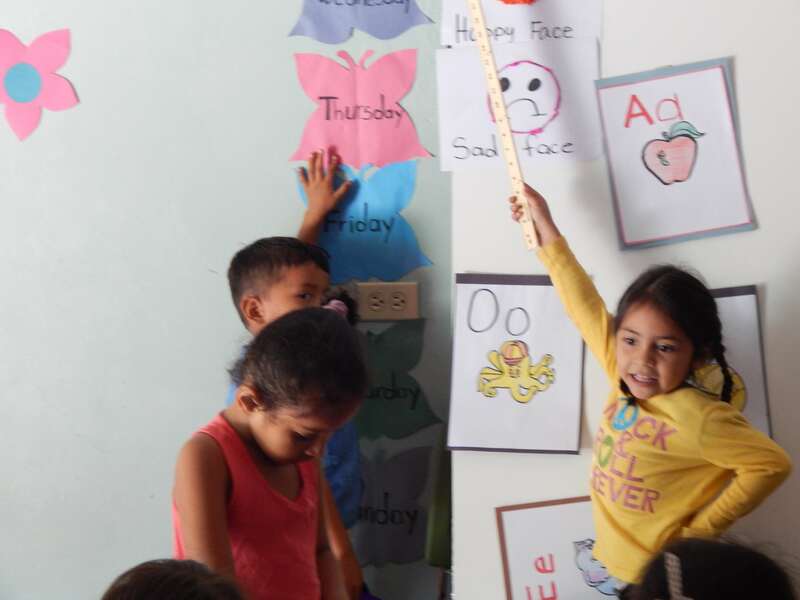 In the last three years, Shoulder to Shoulder in collaboration with the Good Shepherd Catholic community of Cincinnati, has built and operated an accessible, public, quality, regional, bilingual, primary school in Camasca, Intibucá. The school now features grades kinder through third grade with about sixty students. Construction on a new building to accommodate more students and grades will begin this year. This is where Laura and I step into the picture. The school is a most ambitious project. It needs a tremendous amount of commitment and financial support to continue to offer a quality, bilingual education. Laura and I were charged with designing and implementing a sponsorship program for the children at the school. We have done so and have enjoyed some success. 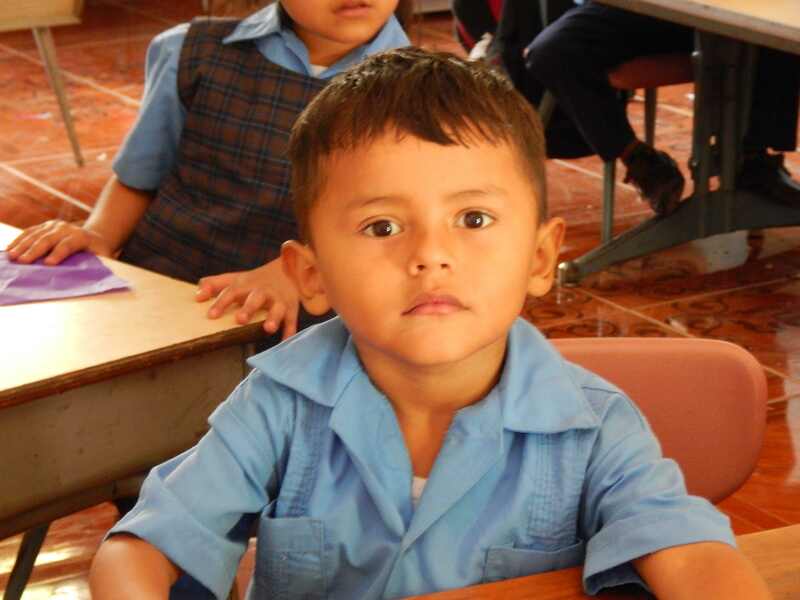 Nine of the children at the school have full sponsorships at $100 per month. Some of you who are reading this are sponsoring children and we are extremely grateful. But we need more. We are doing two things. We have initiated a campaign to raise $12,000 by the end of this year. We are also trying to expand our donor base. We are looking to you to help us. We are not necessarily asking you to help us by way of a financial commitment, though we would be extremely happy if you could. But you have families, friends, and associations. Please help us to get the word out. Laura and I are extremely committed to this endeavor. We think that right now it is one of the most important things happening in all of Honduras, and we are honored to take a small part in it. I have outlined below the various ways that you can help us. You can begin a relationship with a child that will support an ongoing, quality, bilingual education for all our students at the school. The financial commitment is $35, $70, or $100 per month. Go to Sponsor a Child to make that commitment. Go to Educate a Child – Save the World! Make your donation through razoo.com. If you have a Facebook page, here’s what you can do that won’t cost you a penny. Just go to our Facebook page at StoSFacebook and repost our campaign post on your timeline. Our campaign post, “Educate a Child – Save the World!” should be the first or second post you see on Shoulder to Shoulder’s timeline. Like us and follow us. Email your friends and contacts, talk us up, and promote us at your church and other associations. Website: Read about Shoulder to Shoulder on our website at http://shouldertoshoulder.org/.